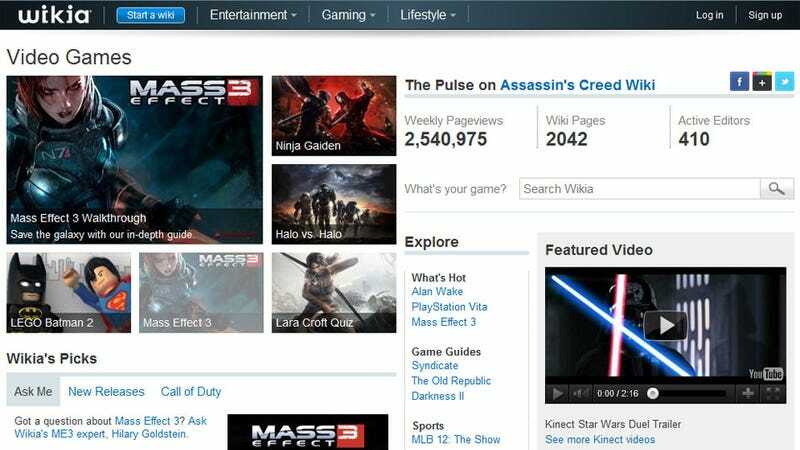 Signalling just how radically the way we read and learn about video games has changed over the past decade, Wikipedia founder Jimmy Wales now says he has the world's biggest network of gaming sites on the internet. Which is a bit of a stretch; unlike his commercial rivals, Wales' Wikia system for games - which has over 2000 individual entries - is entirely user-created and run. Meaning that the "26 million monthly unique views" it generated last month, surpassing the figures of even IGN and GameSpot, should be taken with a pinch of salt. But only a pinch, because 26 million is still an astonishingly large number of people, especially when you consider most users would only be consulting one or two pages every month, depending on what they're playing.